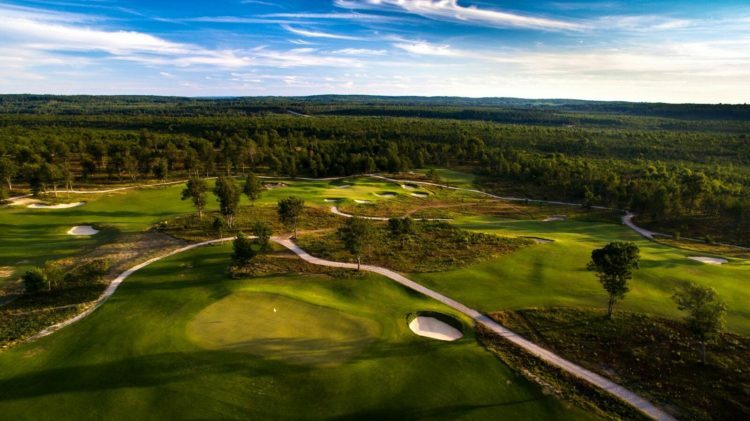 Roscommon, MI – Forest Dunes, a premier international golf destination in northern Michigan, has been honored by the golf industry’s two leading publications. Golf Digest and GOLF Magazine have named Forest Dunes’ new innovative 18-hole reversible course – The Loop, designed by Tom Doak of Renaissance Golf Design, as the Best New Public Course and the Best New U.S. Course You Can Play, respectively. The annual lists and stories regarding the best new courses can be found in the December/January issue of Golf Digest and the January issue of GOLF Magazine. “This is truly an honor to be recognized by both of golf’s leading publications,” Forest Dunes owner Lew Thompson said. The new 18-holes function as 36. “Without ever posing the sensation of playing the wrong way down a fairway,” according to Whitten and Golf Digest, which rated and recognized the best new course as one 36-hole experience. Golfers play Black-clockwise and Red-counter clockwise. “Tom’s reversible course concept changed our business model from a simple stop on the way single golf course, to a leading golf destination with a three-course experience different from anything else in the world right now,” Thompson said. The Loop, with its revolutionary reversible design, is a walking only experience featuring the option of professional caddies. The two different layouts alternate directions on a daily basis and allow golfers to experience a unique vacation golf package.